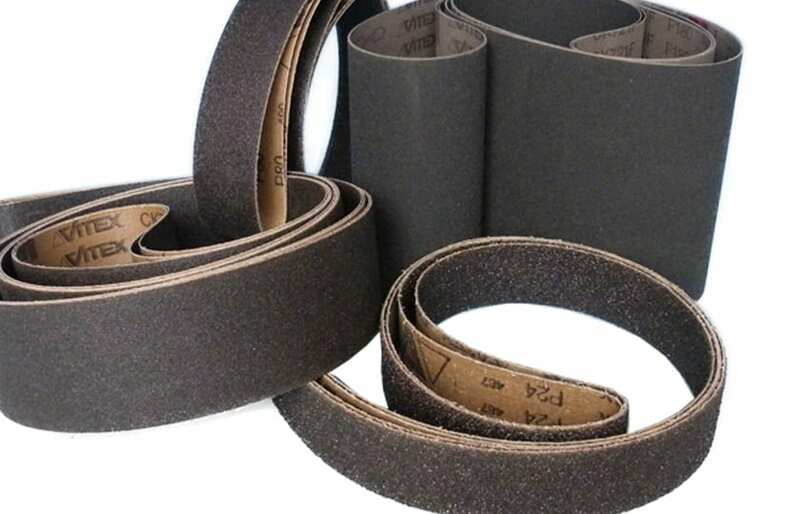 Abrasive belts with silicon carbide are produced synthetically and are very sharp-edged with low toughness and very high hardness. This results in a fine and uniform grinding pattern on the workpieces with the abrasive belts with silicon carbide abrasive grain. Abrasive belts with silicon carbide therefore have a wide range of applications. They are ideally used for processing unalloyed and low-alloyed steel, brass, bronze, hardwood, paints/varnishes/filler compounds, glass/ceramics/porcelain, minerals, rubber and plastics. Due to the special shape and wear resistance of the silicon carbide abrasive grain, a consistently constant surface quality is achieved. These abrasive belts are particularly suitable for subsequent polishing steps. Due to the very long service life of the grinding belts with silicon carbide, cost-effective production is possible. 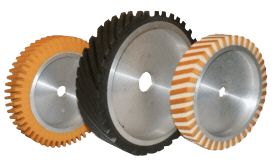 By selecting highly flexible carrier materials and the appropriate Picard contact wheel, the grinding belt adapts ideally to the workpiece geometry. Narrow curves, radii and such difficult workpiece shapes can be optimally machined. The use of abrasive belts with ceramic grit should always be carried out in conjunction with the correct contact wheel. For dry grinding we recommend our contact wheel FAPI-KS/V FREQUENCY DAMPED, with which up to 40% more stock removal can be achieved. For wet grinding, we recommend our contact wheel FAPI-PA FREQUENCY DAMPED, which can also achieve a further enormous increase in stock removal rate.